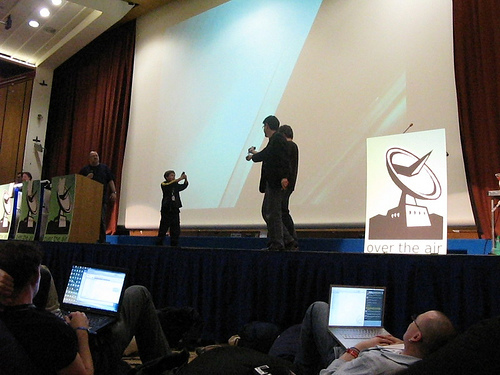 Over the Air was developed as a concept between a group of like-minded people off the back of the first highly successful Hack Days in 2007 and 2008, and the clear need in the mobile industry calendar for an event that was by developers for developers. Instigated by Daniel Appelquist – Over the Air is the creation of Dan, Margaret Gold and Ian Forrester. Our very first event was held at Imperial College London in September 2009. Matthew Cashmore of Hack London fame joined the pioneering team at the last minute to save our hides and has been part of the core team ever since. Ian has since moved on to be a cheerleader from afar, and a number of people have played key organising roles over the years. In 2015, Matthew announced his retirement from Over the Air to pursue a completely new career. 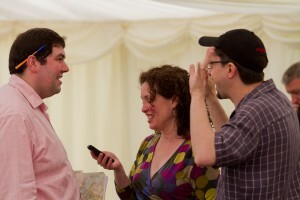 And in 2016, Dan and Margaret announced on stage that it would be the final event in the Over the Air series. Naturally, we hope that the OTA spirit will live on in new events with fresh formats and organising teams, and encourage the community to dive in and found the next series! 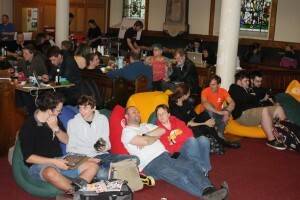 We are supporters of both the Hack Day Manifesto and the Hack Code of Conduct. What’s the tl;dr? Over the Air has been an annual 2-day mobile developer event with a mix of technical workshops put on by the community, a Hackathon to celebrate programming & making as a creative discipline, and Lightning Talks to entertain and inspire. 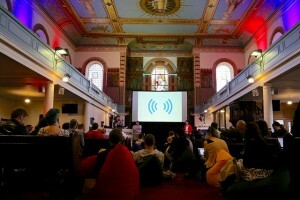 The final 2016 edition took place on the 25th & 26th of November, at St. John’s Hoxton. What is the Event Structure? 1 Keynote Speaker, 1 Hackathon Show & Tell, 10 Lightning Talks, 12 Hackathon Award Categories, 36 hours of Hacking, 40 Workshops, and 500 participants. So, is this MY kind of event? Over the Air is an event that defies easy description. It’s a celebration of creativity. It’s a festival of all things hackable. It’s a place where attendees can learn about technologies, trends and techniques. It’s a sleep-over. It’s a two day party. It’s an event where practitioners of creative and technical disciplines can come together to learn from each other. It’s about recognizing software development as a creative discipline. It’s an opportunity to build new relationships. It’s a space where you can build cool stuff and show it off to an appreciative crowd. It’s all these things. And by the way, it’s free. We promise the following: if you attend, you will learn about stuff you didn’t know about before, will have the opportunity to meet and collaborate with people you haven’t met before, will be inspired, and possibly amazed. By the end of the day Saturday, you will definitely be exhausted. We’re not saying it will change your life, but we’re not saying it won’t either.